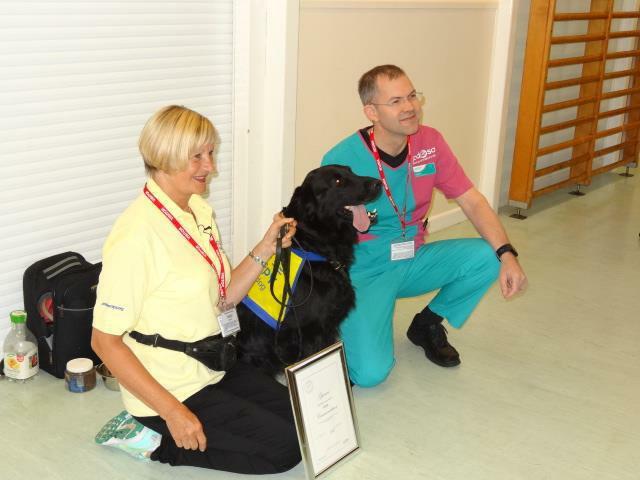 Gunner has been a PAT (Pets as Therapy) dog at Peterhouse School for children with autism for seven years and received the PDSA commendation in recognition for his exceptional devotion to duty. Carole James, the PE teacher who nominated Gunner, couldn’t praise Gunner and his owner Serena Green enough for all the amazing work they have done during their time at the school. In particular, Gunner has helped some children overcome their fear of dogs, which has had a real impact on their ability to access the community. Pupils have also learnt how to be safe, act responsibly and take care of dogs, while other pupils enjoy the more sensory aspects of meeting and interacting with Gunner. The award presentation was filmed by a TV crew and will feature in a programme about the PDSA!